2015 was a great year for mobile phone releases. With another year starting we can look forward to another 12 months of new devices hitting the market. In this post we have a look at some of the forthcoming phones that have been setting the rumour mills into motion over the past few months and that we’re excited to see released in 2016. The LG G4 is arguably one of the best Android devices currently on the market. Industry chatter around the device suggests that it will ship with a 5.6 inch screen and an Iris scanner (how futuristic!). LG devices have come on leaps and bounds in the past few years. With the G5 launch predicted for Q1 2016, we’ll be looking forward to seeing what LG can pack into their new flagship model. The latest rumours are suggesting that Samsung’s top-tier device will borrow a leaf from Apple with the introduction of a ‘Force-Touch’ style technology to the phone. There are also whisperings of a flexible screen device being launched by Samsung, with the company making no efforts to cover up that it has beenworking on the technology. Leaks from a reliable source close to the company suggest that Samsung will release an ‘S7 Plus’ model along with an ‘Edge’ model seen in the S6 range. 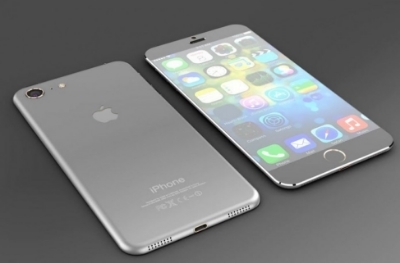 Apple’s iPhone 7 is expected to drop around their usual release period of autumn. The iPhone 6s launch has previously been covered on our blog (link). Apple has a history of remaining tight-lipped about new product launches, so we’d be optimistic that the iPhone 7 will have a few killer unexpected features. The word on the street is that Apple may do away with the traditional 3.5mm headphone jack in favour of a lightning port. Doing so in order to make the iPhone even thinner. We hope this isn’t true. It would be a big bummer, seeing as you’d have to buy new headphones or an adapter to use the port! OnePlus has had a big 2015, with the launch of its OnePlus Two and OnePlus X devices, both of which were greeted with critical acclaim across the board, from tech journalists to broadsheet newspapers. The company only released it’s first handset in 2014, but has gained a serious following in the meantime. With the great value the company has offered on previous devices, we hope that OnePlus continue with their formula of making high-end devices at low-end prices.